Does Cancer Treatment Alter Your Sense of Taste? For many families, a loved one’s cancer becomes more real when physical symptoms appear. Patients may lose their appetites and rarely feel hungry. Others struggle with oral lesions that make eating painful and undesirable. Collectively, these eating problems lead to weight loss. It is essential for patients and caregivers to discuss eating issues with their oncology team. 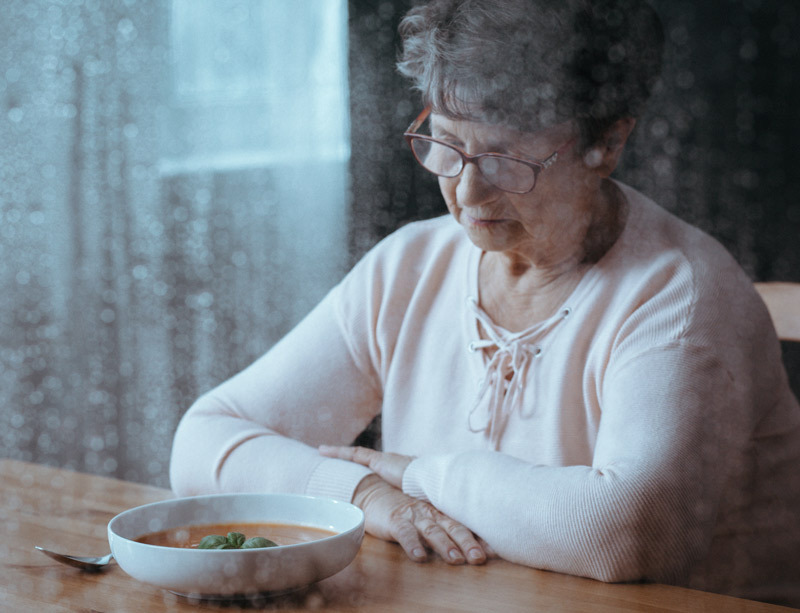 Because eating difficulties aren’t a life-threatening side effect of cancer, people may overlook the impact of such issues on physical and mental well-being. Understanding cancer-related eating problems and how to best combat them are good ways to stay healthy. Malnutrition and weight loss are arguably the most visible side effects associated with cancer. We cannot see malignant cells and tumors growing inside the body of our loved one, but we most certainly can see the drastic body changes many cancer patients endure. A 2017 study published in Frontiers in Physiology shows how eating problems may relate to a loss of taste perception. Many patients and caregivers might not realize cancer-related factors affect taste perceptions. In the study, authors from Weill Cornell Medical College and the University of New York explain how inflammation related to advanced cancer may affect a patient’s taste buds, appetite and eating capabilities. We have 5,000 taste buds that help detect food preferences, prepare the body for digestion and use ingested nutrients. The authors explain how treatments such as chemotherapy, radiation therapy and cancer-fighting drugs may affect the biological mechanisms of taste. Many cancer patients report gastrointestinal disruptions such as dry mouth, loss of appetite and loss of taste perception as the most distressing symptoms they experience. Addressing these issues may lead to a higher quality of life for those affected by cancer. It would seem some of the treatments necessary to combat cancer adversely affect a patient’s eating abilities while attacking cancer cells. One study suggests nearly 70 percent of research participants experienced taste issues during their cancer treatment. Chemotherapy: Some patients undergoing chemotherapy treatments experience subsequent mouth complications called oral mucositis. This side effect of chemotherapy is an inflammation of the mucus membrane that leads to the development of raw sores in the mouth. Inhibited taste perception can be related to oral mucositis. Radiation Therapy: While radiation therapy targets and destroys cancer cells, it may also destroy taste cells. People with head and neck cancer are more likely to experience radiation-related taste issues, but this phenomenon occurs in patients with other forms of cancer as well. Zinc Depletion: Some cancer patients undergoing chemotherapy and radiation treatments experience depletions in their levels of zinc. This trace element is essential for taste perception and other immune system functions. Lower levels of zinc may inhibit one’s ability to taste foods. According to the study, loss of taste perception is a temporary side effect and usually subsides within a few weeks or months of completing cancer treatment. Additionally, there are several ways in which patients can combat dietary issues that stem from loss of taste perception. The researchers from Weill Cornell Medical College and the University of New York assert that patients who understand the potential effects on their taste perception prior to treatment cope better with the changes. Talking to your oncology team about potential taste issues is a good place to start. New Recipes: Patients struggling with loss of taste might be enticed by new and exciting foods that they’ve never tried before. Add Some Gravy: Pouring a tasty sauce or gravy over vegetables or meats is a way to add some extra flavor to a meal. Sweeten Things Up: Glazing meats like ham or chicken might help to liven up taste buds, creating a more palatable experience. Taste Test Before Treatment: It may be helpful to try out a few supplemental drinks and foods before starting cancer treatments to find the right one. Dad’s weight loss began even before doctors diagnosed him with mesothelioma. Significant physical changes ensued shortly after he started chemotherapy and radiation treatments. We quickly learned how cancer treatments impacted his oral health and eating habits. Soon, painful mouth sores developed inside his mouth, and Dad could only eat soft solids. During this time, my creative and resourceful father created a “jelly diet.” Jellies and jams were the only foods that tasted good to Dad and were soft enough for him to eat. These gelatin-based foods work reasonably well at providing calories and satisfying a sweet tooth, but a diet consisting of only jams and jellies won’t fuel the nutritional needs of someone with advanced cancer. Luckily, Dad’s oral complications and taste issues subsided a few weeks after he stopped treatments. Opening conversations with your oncology team about eating-related side effects of cancer treatment may the first line of defense. Working together can decrease the impact these issues have on a patient’s quality of life. Murtaza, B. et al. (2017, March 8). Alteration in taste perception in cancer: Causes and Strategies of Treatment.